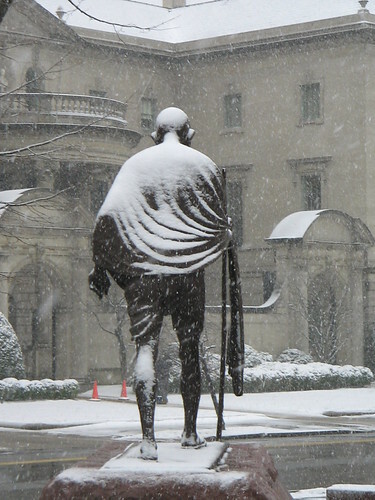 The Gandhi Memorial at Mass Ave and Q St NW. Light dusting, getting heavier. 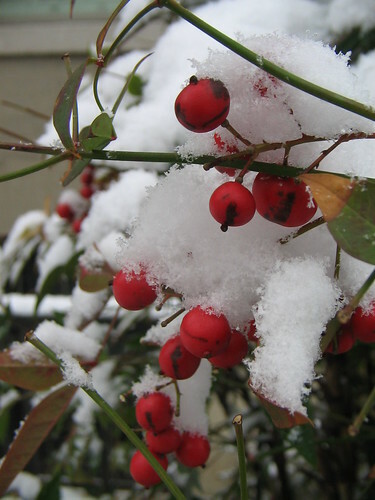 Berries in a snow-covered bush. 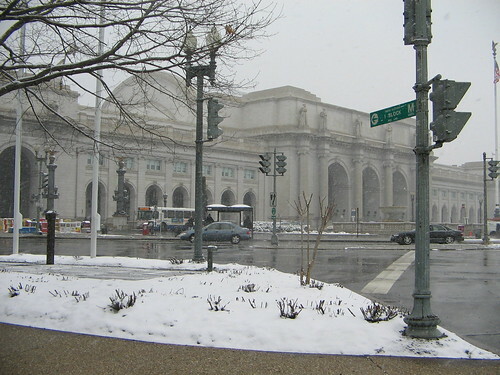 DC Union Station in the snowy haze.